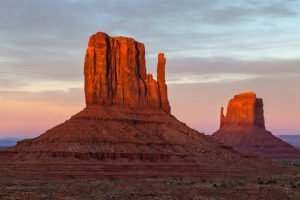 The American Southwest is a land of wide-open spaces still alive with people of the land. 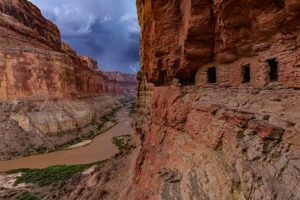 Native Americans have called this region home for thousands of years. Hidden in their homeland is rock art, pottery designs, and jewelry that are timeless. 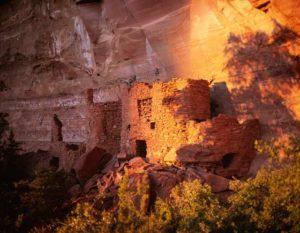 The cultural landscape changed rapidly after the earliest trail-blazing Spanish explorers led the way. Soon the first settlers and merchants arrived traveling on trails and then rutted wagon roads. Finally, curious tourists began coming to this ancient land on railways, dirt roads, and then paved highways. The first trading posts appeared in the remote corners of the West in the mid-1800s. Commerce between English-speaking merchants willing to barter bridged the gap of language barriers and cultural differences. These traders pioneered long-term social interaction with the native population. Sheep herders brought in wool, weavers offered their rugs, and silversmiths offered their turquoise jewelry. Locals could use the barter system to exchange their goods for needed items like coffee, sugar, and flour. Others traded for guns, saddles, and lariats. These outposts mingled cultures giving each a chance to broaden their perspective and improve their lot in life. Working on a recent photo assignment I visited three historic trading posts in Arizona. America Journal, a German travel magazine about America, just published the seven-page story written by Nina Rehfeld. 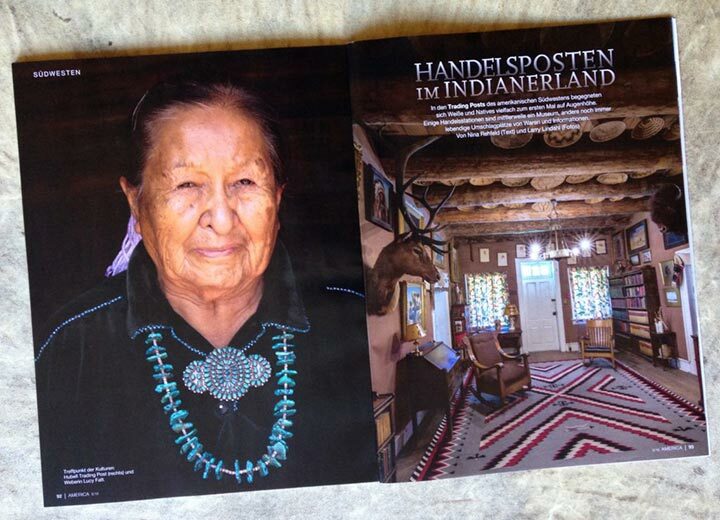 The opening photo is a portrait of Lucy Fatt, an 80-year old Navajo rug weaver. 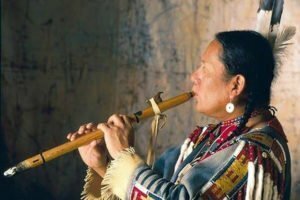 She stands in the doorway of her hogan, the traditional log and mud structures seen scattered across the barren reservation. Keeping to a tight schedule we visited her in the middle of our second day. She lives in Monument Valley surrounded by sandstone cliffs and soaring monoliths, but it was far too bright at high noon for a portrait outside. Yet inside, the dark hogan was only brightened by indirect light from the smoke hole in the ceiling and through the east-facing doorway. To find the best light available I asked her to stand in her doorway facing outside, and she kindly followed my idea. The bright mid-day sunlight shined down hard on the golden sand just outside her door. 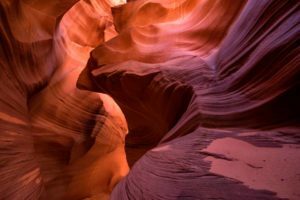 It then bounced and reflected up, the indirect light being gracefully diffused, the soft light carrying with it the golden color of the sand. The careful positioning provided an ideal strong contrast, her warm face glowing against the hogan’s dark interior and her treasured turquoise jewelry contrasted distinctly against her dark blouse. The other photo in the opening spread was made inside the residence of the late trader Lorenzo Hubbell. His home is next door to Hubbell Trading Post, which he first began operating in 1878. Located near the town of Ganado, this authentic trading post continues to carry merchandise for locals like Blue Bird flour and items for tourists such as thousand-dollar handwoven Navajo rugs. Once again an interior scene was dimly lit, and I almost exclusively use available light for my photography. An aperture setting of f/20 created the star bursts in the chandelier lightbulbs, but to gather enough light, the shutter remained open for 30 seconds. The quest of travel photography is to bring home a taste of being in a strange and foreign land. That foreign land can be half way around the world or in the less-traveled Indian reservations of our own country. Either way it is my hope to meet the locals who remain people of the land.